Workers of Beryozovsky gold mine have long been famous for thirst of creativity and thirst for beauty. 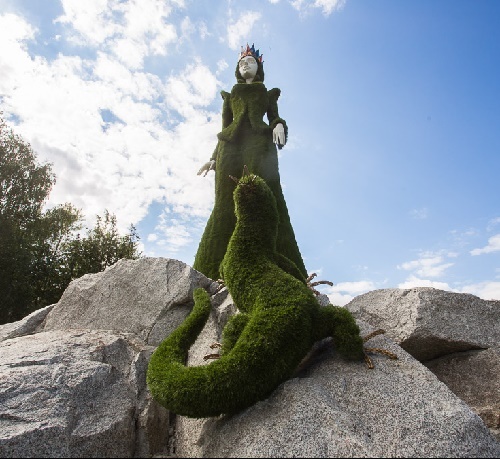 Thanks to their enthusiasm, next the plant, in the evening on 24 June 2016 appeared six-meter sculpture of the Mistress of Copper Mountain. The author of the idea of ​​a new sculpture – a design engineer of Beryozovsky mine Natalia Tatarinova. She said: “Mistress of Copper Mountain is the only character associated with the production of metal, and precious stones. In our Russian culture, which unites the whole country, there is nothing more significant, – says Natalia Tatarinova. – In addition, Beryozovsky – the first city, where they opened a gold mine. People should know their history. 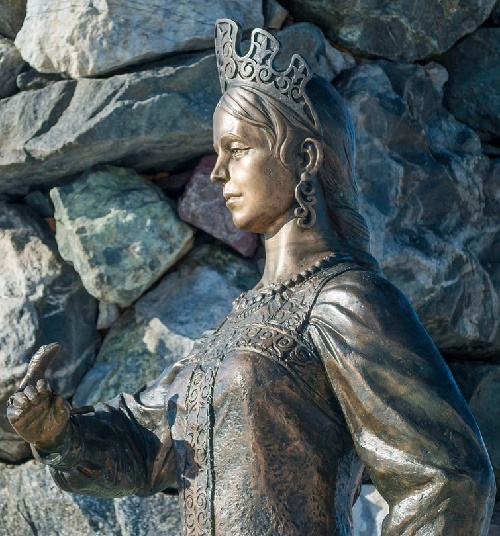 And most children know the fairy tale “Mistress of Copper Mountain”, it is an interesting sculpture”. Among the many new and unusual monuments, which appeared in the most crowded and famous places of St. Petersburg, one stands out as absolutely extraordinary. 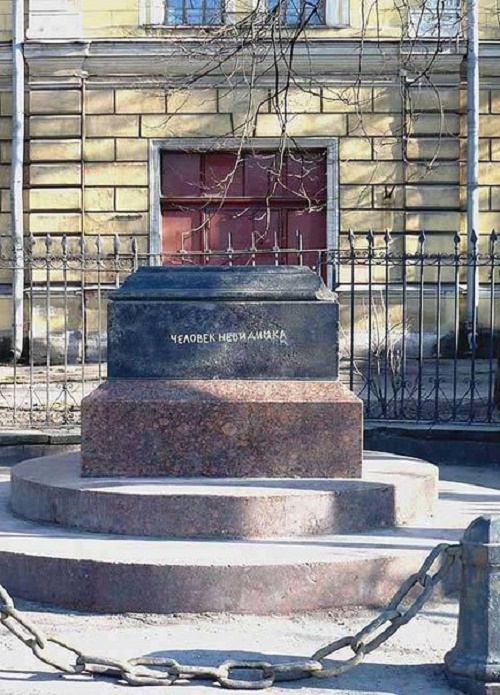 It is a monument to Invisible Man, which, in fact, is a granite pedestal. Located at Fontanka, 132, just in front of the mental hospital №7, a few minutes walk from the metro station “Institute of Technology”. Gold letters on the rough granite display: “Monument to Invisible Man.” The story of the monument to the Invisible Man started back in 1892, five years before the publication of the novel by H. G. Wells “The Invisible Man” in 1897. However, the Story behind monument is a complete mystery.